Home box office collection Kalank First (1st) Day Box Office Collection: Varun-Alia Movie Hit or Flop? Kalank has been released on the special occasion of Mahaveer Jayanti, the film will surely receive the advantage of upcoming Good Friday holiday that will boost the box office collection of the movie. Varun Dhawan and Alia Bhatt’s latest collaboration is generating a lot of buzz. 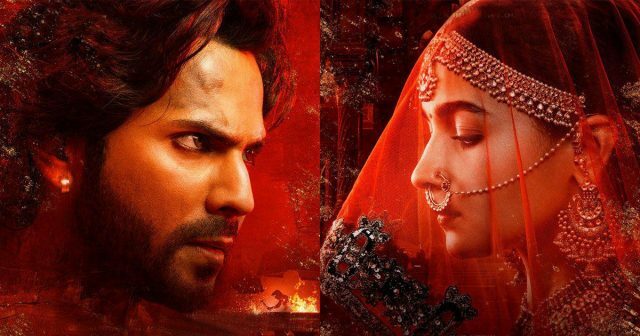 Their much-awaited movie “Kalank” has finally hit the theater today as it was scheduled to release on 17th April 2019, Wednesday. The latest period drama Bollywood flick has created hype and we can see the makers of the film has successfully created enough buzz of the movie among the audience. Apart of Karan Johar’s darling students, Varun and Alia, the film also stars studding Sonakshi Sinha, Aditya Roy Kapoor, Madhuri Dixit, and Sanjay Dutt in the prominent roles. There are sky-high expectations associated with the multi-starrer Bollywood movie Kalank. Abhishek Varman’s directorial movie is a period drama set in the background of the pre-independence British era back in 1945. The film is produced by Karan Johar, Sajid Nadiadwala, and Fox Star Studios. The film is the fourth collaboration between Varun and Alia, who previously worked together in Student of the Year, Badrinath KI Dulhania and Humpty Sharma Ki Dulhania. Kalank has been released on the special occasion of Mahaveer Jayanti, the film will surely receive the advantage of upcoming Good Friday holiday that will boost the box office collection of the movie. The periodic drama is receiving positive reviews from film critics and fans. * #Kalank is the widest release for Varun Dhawan and Alia Bhatt. * Also, #Kalank is the widest release of 2019 *so far*. * #MahaveerJayanti [Wed] and #GoodFriday [Fri] holidays will boost biz. Karan Johar’s production’s latest venture is receiving good words of mouth and generating good business at the box office. The film is expected to receive a great opening of Rs 20-25 crore. Let’s see how Kalank will perform in the upcoming days at the box office. Stay tuned with us for all the latest updates and box office reports. Mansi Sharma, editor at UptoBrain, with 2 years of experience in the google news industry. Apart from writing and editing articles on Health at UptoBrain, she also contributes to other esteemed news sites. Having a vast experience in writing news analysis and content management. Mansi is a health freak, who loves to handle news coverage of health studies and besides science behind them. Her strength includes the good knowledge of online media.